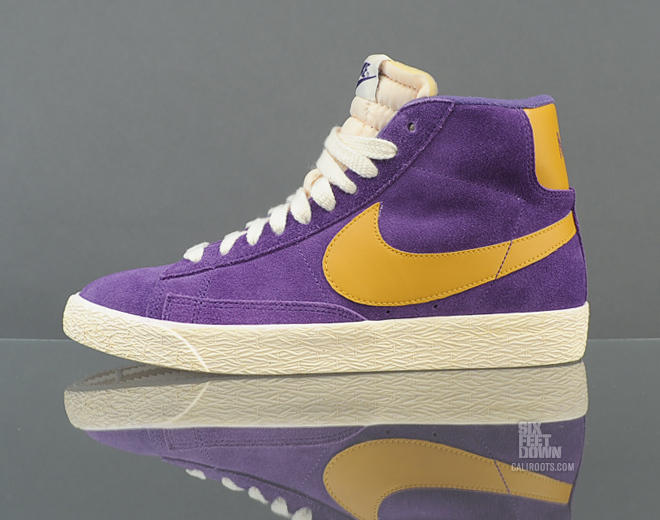 Now available is a Lakers look for the women's Blazer Mid VNTG from Nike Sportswear. 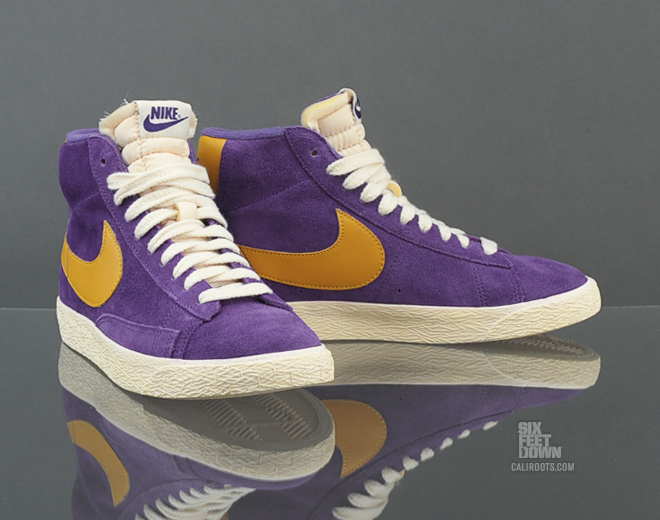 Ideal for the lady Lakers fan, Nike Sportswear releases this WMNS Nike Blazer Mid VNTG in Court Purple/Dark Gold Leaf-Natural. 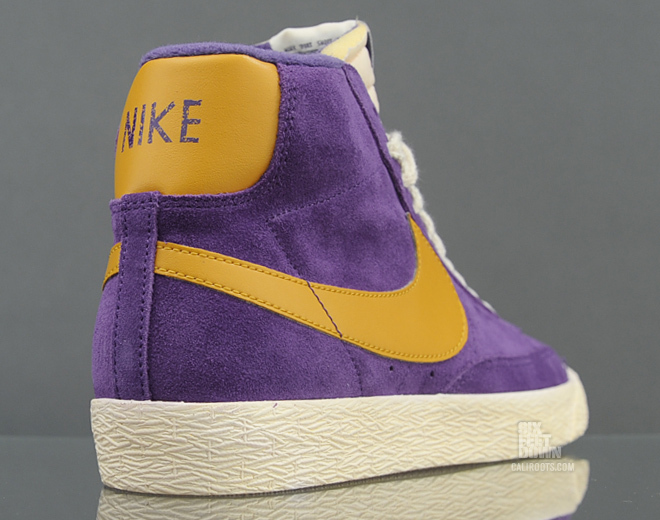 This purple suede, Lakers-esque colorway is constructed with the vintage look, complete with exposed foam nylon tongue and slight yellowing on the midsole. Look for them soon at a Nike Sportswear retailer near you, or pick them up now online from Caliroots.